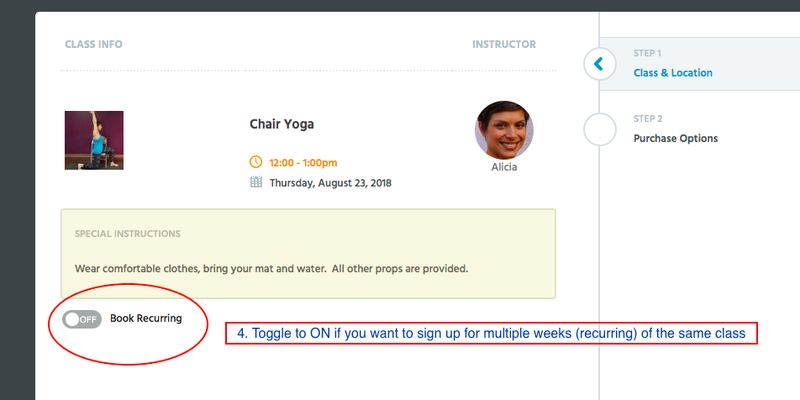 You can now signup for recurring classes and pay online! This should make this an easier process for you to support you getting on the mat on a regular basis! We sure hope this helps the process. See below for a step-by-step guide, with screenshots of each step. Please let us know if you have any questions or feedback to improve the process. 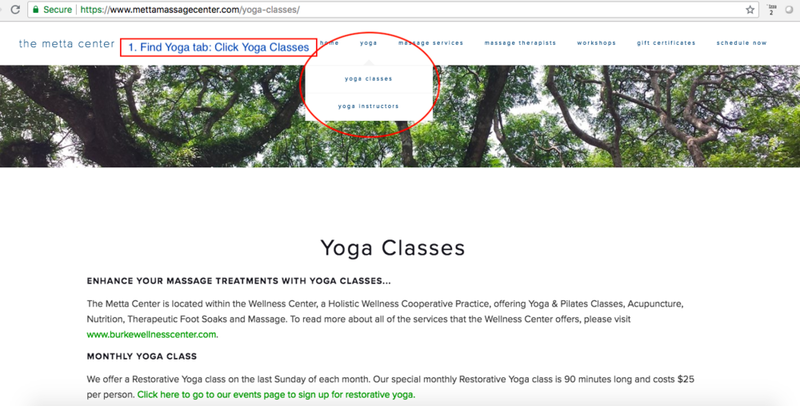 Though the classes are now on the Metta Center website, the class scheduling system and your Login/password remains the same! Returning client? Your log-in is still the same. New client or new to online booking? Click on “sign up” to create a new account. 5. 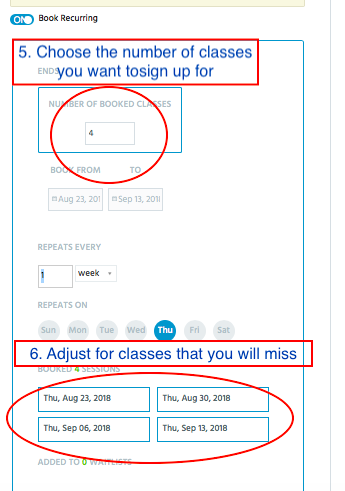 Choose the number of classes you want to sign up for and un-click any dates of a class you will miss. If you are choosing to pay online here are some things to consider. If you are signing up for more than 1 class you will need to select the same number of classes to purchase. It will not select automatically. 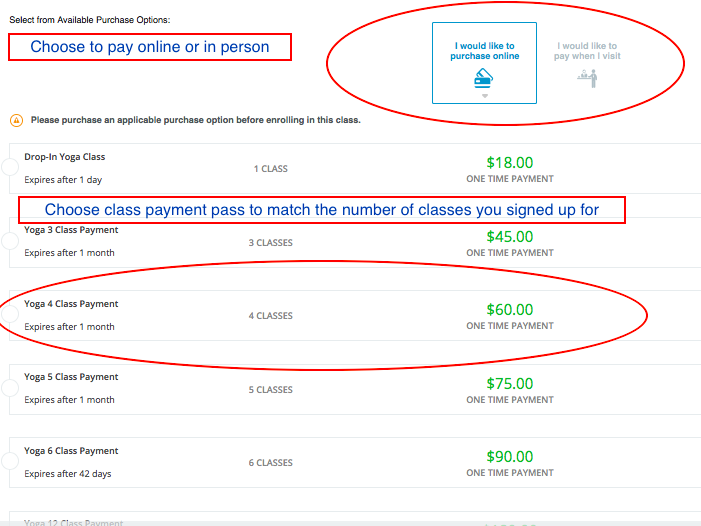 If you are signing up for 1 class but would like to pay for more, that is allowed, but please keep in mind the expiration dates displayed under the payment title. The expiration date will start from the first day you use your package NOT the day you purchase it. If you would like to pay in person, please arrive 5-10 minutes early and you will be helped in the office. 8. Enter Credit Card information for online payment (disregard if you choose to pay in person). You can save your credit card information online, if you so choose! Try it out by signing up below! See you on the mat!